A soft green tea well balanced with subtle jasmine taste. 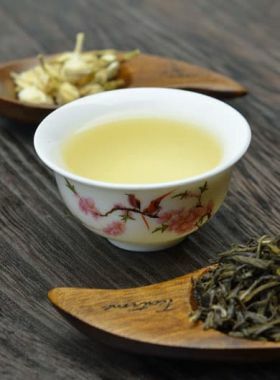 Although this tea has the Bi Luo Chun name, it is made using different materials; the name comes from its similar appearance, small spiral shapes like snail shells. This tea has a lovely jasmine fragrance to it, a result of meticulous scenting with jasmine blossoms. The Wenyang Tea Garden is located in Guanlin Town, Fuding City, at an elevation of between 500 and 800 meters. The weather here is warm and humid with abundant rainfall; the tea plantation is commonly surrounded by fog, altogether creating the perfect conditions for tea bushes to accumulate a rich array of microminerals and organic nutrients. 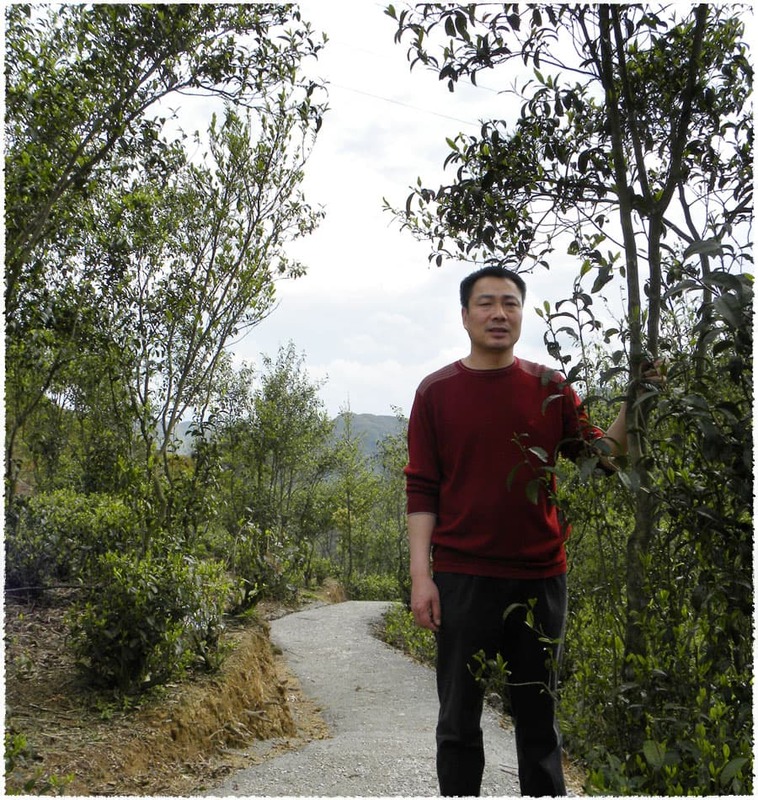 The tea plants growing here are mainly of the Fuding Dabaihao variety. 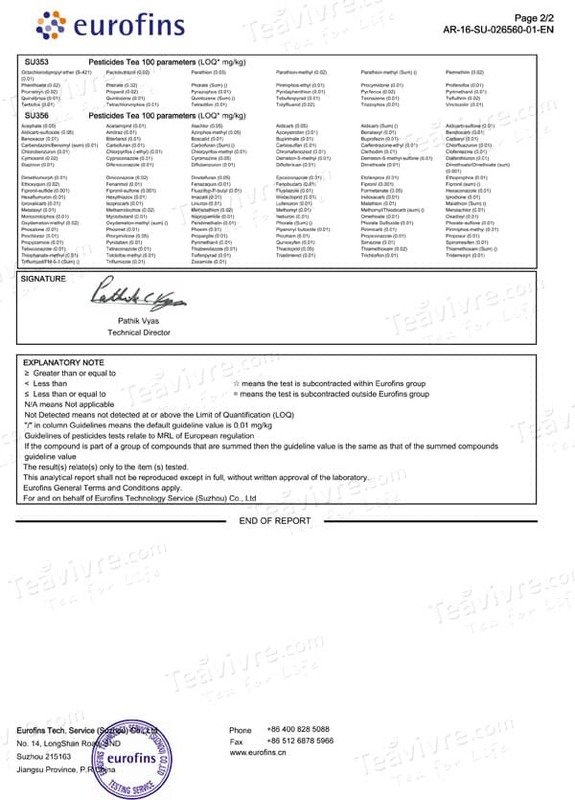 In 2010, his Silver Needle white tea won the gold medal for black teas at the annual CHinese White Tea festival in Beijing. 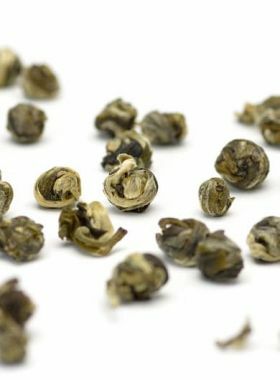 This jasmine tea is produced in Fuding, a famous tea production area located in the northeast of Fujian Province. 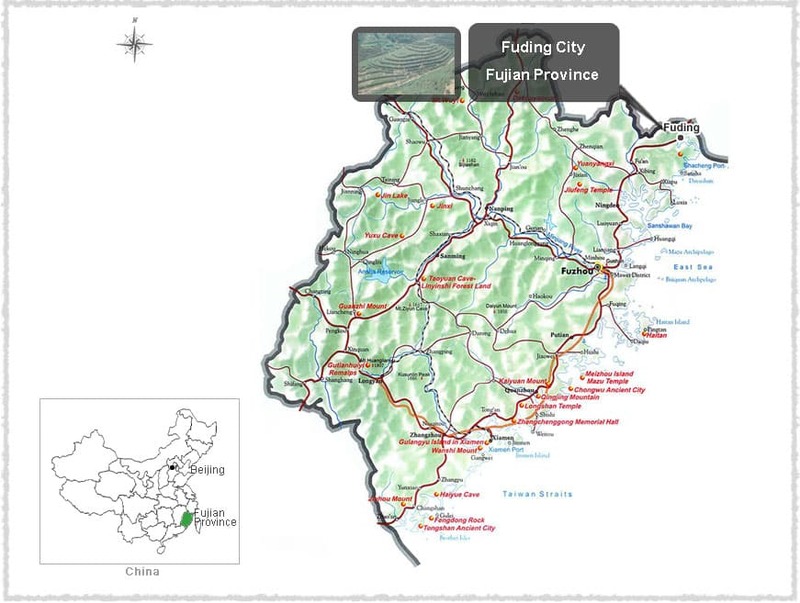 Fuding is of the subtropical monsoon climate, characteristic to coastal areas; it experiences an average annual rainfall of about 1661mm, and the average annual temperature is right around 18.5°C. Produced in Guangxi Province, China, the jasmine used to scent this tea has earned nationwide recognition. The most productive region is Hengxian, Guangxi Province, known as “the city of Chinese jasmine” due to its large planting area and high-quality abundant yield. 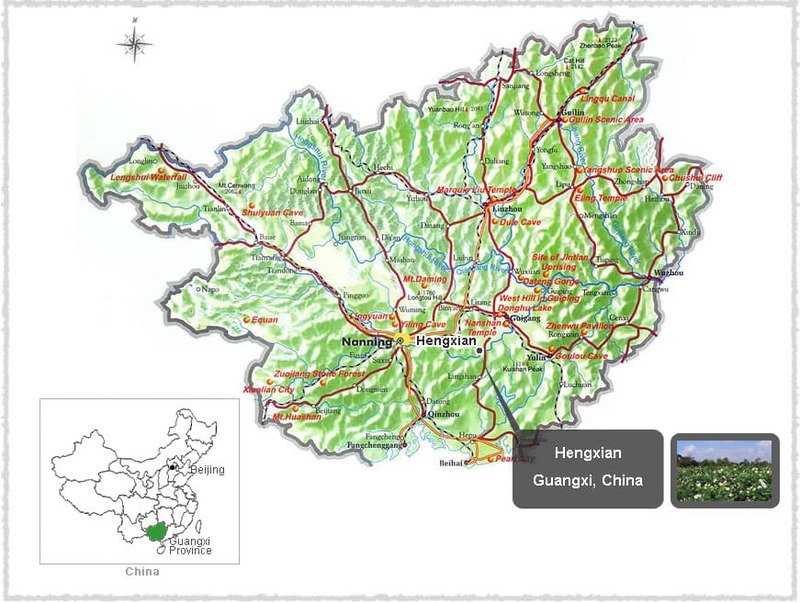 Located in the southeast of Guangxi Province, Hengxian has a total area of 3464 km2. 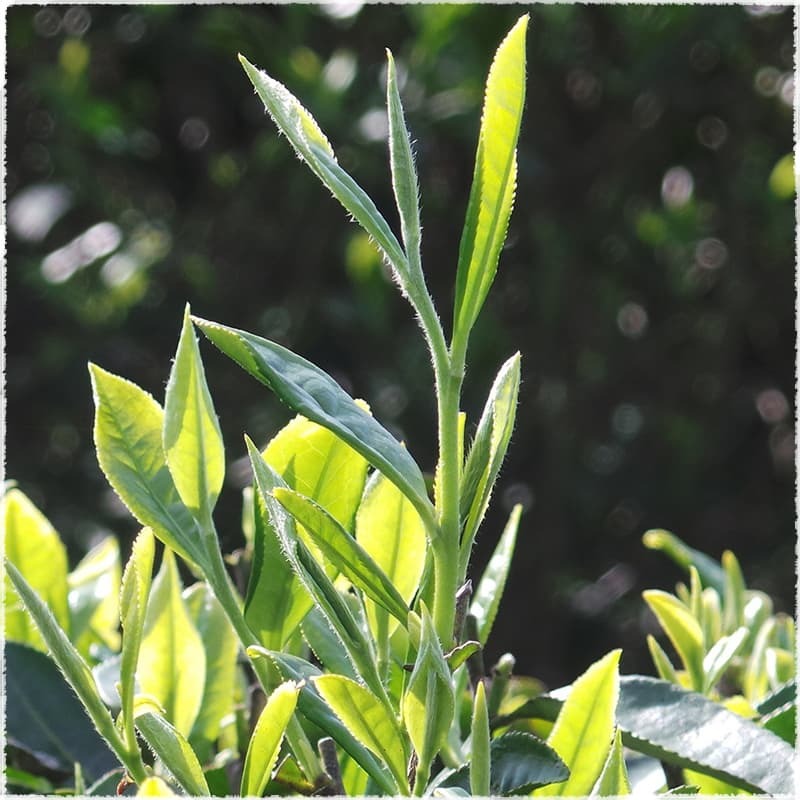 This jasmine bi luo chun green tea is made from the leaves of the Fuding Da Bai Hao tea plant, which propagates asexually and takes the form of a small tree. In 1985 it was certified as a national tea plant variety, and can grow up to 2.8m high with a thick trunk. 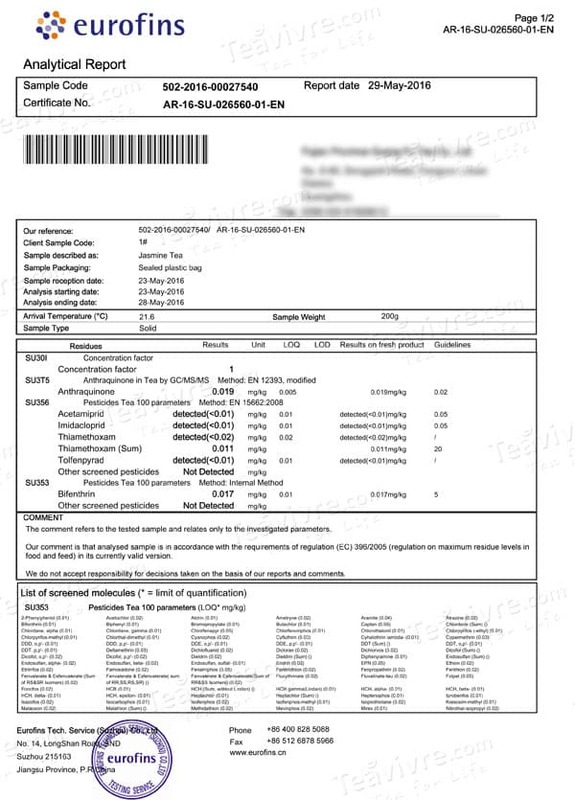 The spring tea of this plant contains 1.8% amino acids and 28.2% tea polyphenol, and is a high-quality base for making white and green teas.